Hasbro’s new HANAZUKI, Full of Treasures digital series – launching January 12th, 2017 on YouTube. 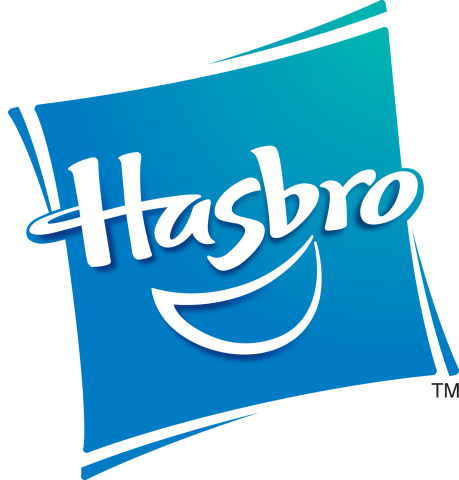 PAWTUCKET, R.I.--(BUSINESS WIRE)--A new world of characters joins the Hasbro, Inc. (NASDAQ: HAS) portfolio this year with the launch of HANAZUKI, a story-driven lifestyle brand that invites audiences to discover a new, visually stunning and far-off moon galaxy full of treasures, surprises, emotions, and a colorful cast of friends at the heart of it all. Hasbro’s newest entertainment franchise-brand-in-the-making debuts with the Company’s first ever animated digital series, HANAZUKI Full of Treasures, premiering on YouTube and the YouTube Kids app January 12th. HANAZUKI, a spirited young moonflower, is at the center of this bold new galaxy where she embarks on an unpredictable hero's journey to save her moon from dark forces that threaten to destroy it. Through this adventure, she meets new friends, and discovers a world full of surprises and new feelings, ultimately learning that her ever-changing moods prove to be quite powerful. The HANAZUKI brand is inspired by whimsical character creations originating out of Amsterdam and being brought to life by Hasbro through a rich and immersive storyline focused on the power of embracing how you’re feeling, no matter what your mood. 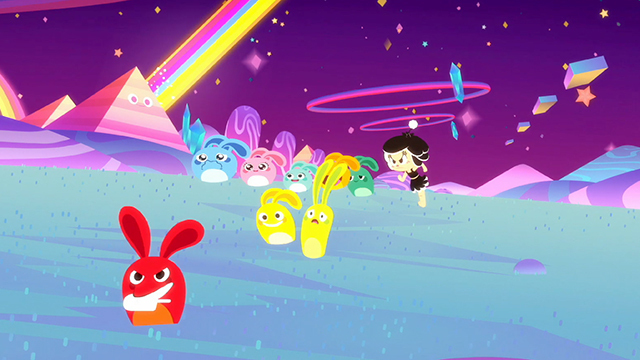 Produced by Hasbro Studios in collaboration with Titmouse Studios, the HANAZUKI Full of Treasures animated digital series transports viewers into a distant galaxy full of colorful moons, and a mysterious dark force that threatens this new world. The story follows the adventures of HANAZUKI as she discovers she possesses a great power that is revealed when she expresses her many moods, which just may be the key to saving the entire galaxy. As she explores her lunar world, HANAZUKI meets strange and humorous characters along the way, including spirited bunny-like creatures called HEMKAS, a sleepy moon child known as LITTLE DREAMER who delivers daily treasures, the self-appointed sheriff of HANAZUKI’S moon, DAZZLESSENCE JONES who sparkles and shines while making sure law and order is preserved, the aptly named SLEEPY UNICORN, and more. The series will feature 27 11-minute animated episodes released throughout the year timed to the full moons. The first nine episodes are available now and can be viewed on the Hasbro YouTube page and in the YouTube Kids app. The HANAZUKI brand will include several other ways for fans to express and embrace their moods alongside HANAZUKI, with a digital app launching in April and branded consumer product offerings throughout the year. A HANAZUKI toy line inspired by the series will launch in June at select retailers and nationwide in August featuring over 175 collectible treasures and figures, plush items, and a stylish Bluetooth-enabled and app-connected wearable, enabling kids to share and express their moods, just as HANAZUKI does in the animated series. To learn more about the HANAZUKI brand, visit Hanazuki.com or connect with HANAZUKI on Instagram to discover her treasure-filled world. The YouTube Kids App is the first Google product built from the ground up with little ones in mind. The App makes it easier for kids to find videos on topics they want to explore and is available for free on Google Play and the App store.